It's a bird…it's a plane…no, it's a mug! This Superman Pop! Home 12 oz. 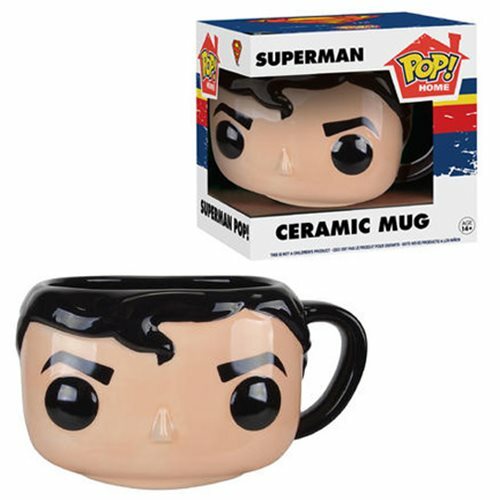 Mug features the Man of Steel as a ceramic mug. Superman can hold up to 12 ounces of liquid.Hand wash only. Not dishwasher safe. Do not microwave. Mug measures 3-inches tall. Ages 14 and up.